Don’t you love a range that can bring a room together seamlessly, without having a matchy-matchy feel? 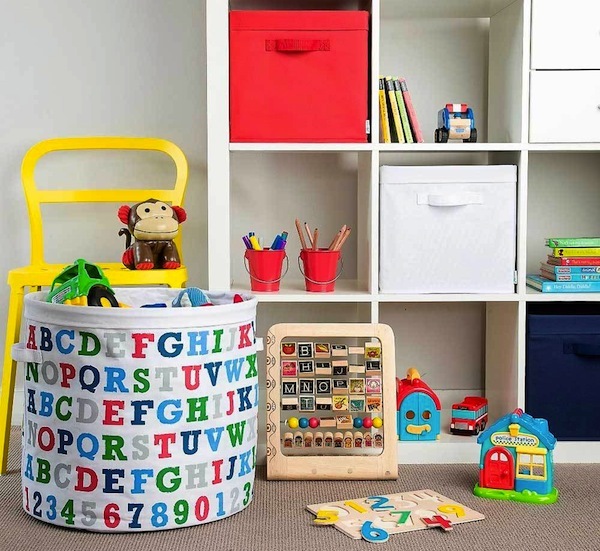 Storage is one of the most important things when it comes to creating beautiful and functional children’s areas and this new Charlie range by Mor-stor ticks a whole bunch of boxes – pun intended. It is absolutely insane how many storage boxes my little house can absorb. Just when I think we are at full capacity, we need a new box to hold yet another collection and I have finally accepted there are never enough containers, and always more stuff. Prices start at $14.94 to $49.95 and the complete collection is available in both a boy and girl colour palette from Urban Baby. Shipping is $9.50 within Australia.